We like to keep it simple at Artik. We've been around since 1985 and always work things out with our customers. 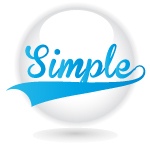 We are not lawyers, we rely on common sense principles to make things simple for our clients. If we clearly made a mistake, we will redo the job or offer you a discount/refund. If you made a mistake and you are not happy with the order, we will do our best to help you with a discount on replacements. We want to find a fair solution for both sides and make sure you are happy and satisfied. We know that in this business, deadlines are key. If you want custom items for an event that is happening this weekend, you will not be satisfied unless you get the items on time.